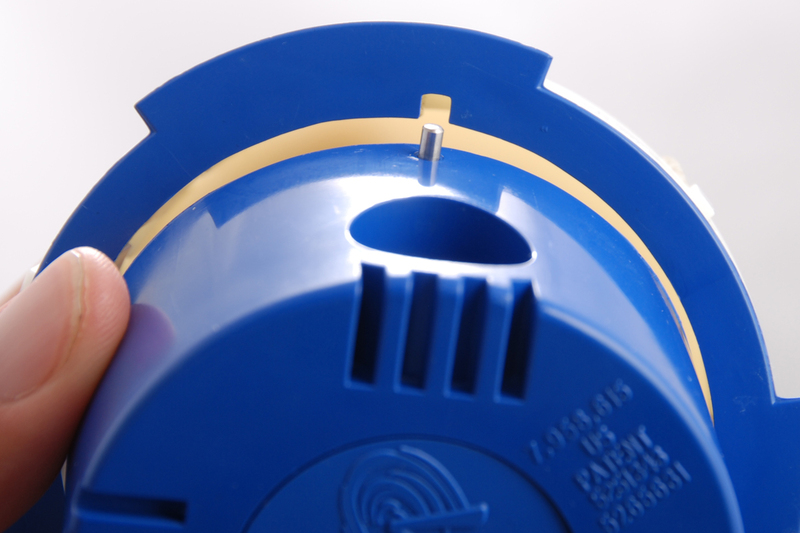 There are two (2) types of Paramount floor nozzles - non-rotating fixed nozzles and rotating nozzles. 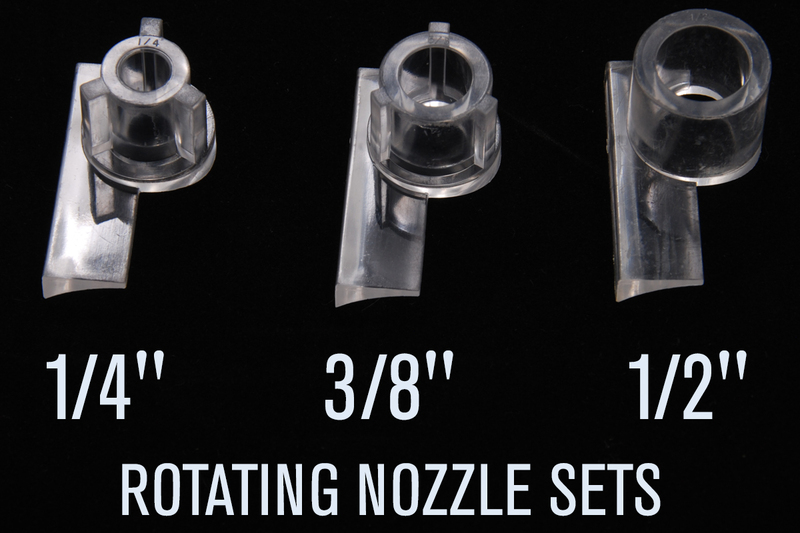 All nozzles include extra jets. 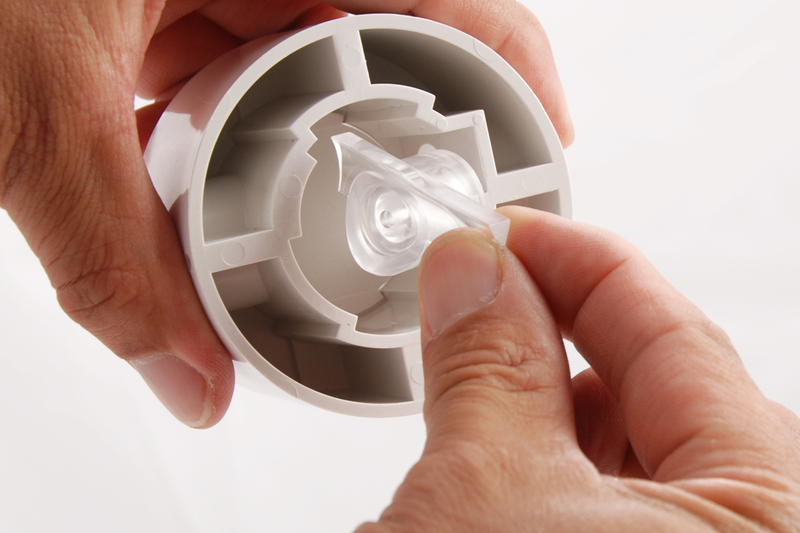 Fixed nozzles do not come pre-assembled from the factory. 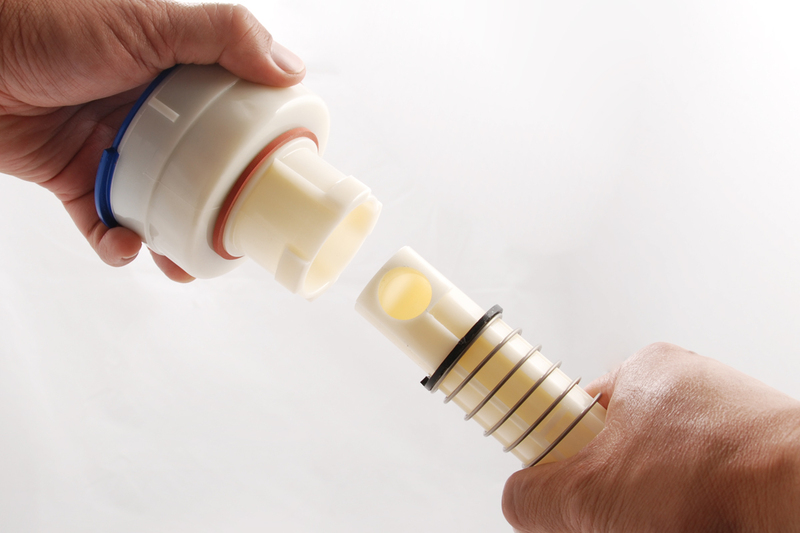 In most cases a 1/4" jet is used in the fixed nozzle. 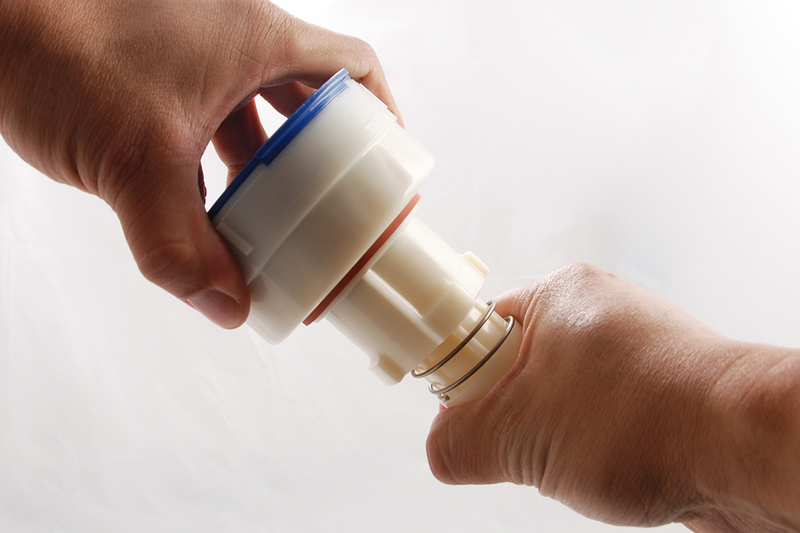 Occasionally a 3/8" or 1/8" jet is required because of the distance between the nozzle and the drain (more than 6-1/2 feet). Refer to your pool plan for the proper jet size to use. 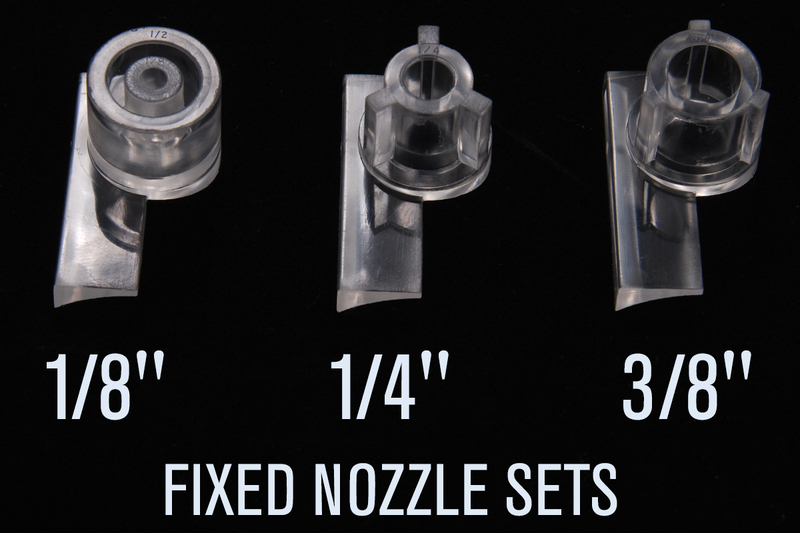 If you are replacing an existing nozzle use the same jet that was used in the original nozzle. The rotating floor nozzle comes from the factory with the opening in the nozzle shaft to the 3/4" opening and 180 degrees is the 1/2" jet which is already installed but not aligned to the opening. 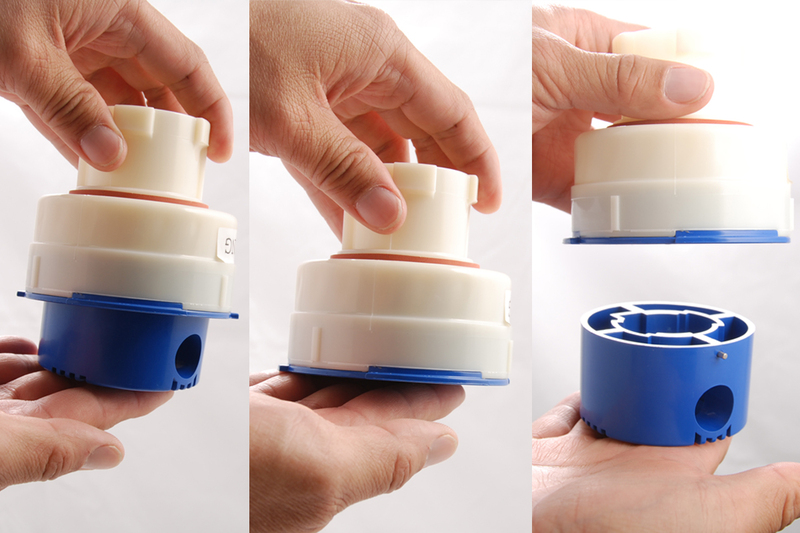 To change a jet size, you must hold the nozzle upside down and remove the shaft by turning it counter clockwise (Fig 1) to the stop and wiggle and pull it out of the cap (Fig 2). The cap (Fig 3) will come out of the body by pushing it up and down until the pins line up with the slots in the retainer (Fig 3a). If a jet is currently installed, remove and replace the jet (Fig 4) with the required size (Fig 5) and then rotate the shaft and reinsert the shaft so it aligns with the jet. Always push the shaft up and down to make sure of smooth ratcheting and the correct jet opening.